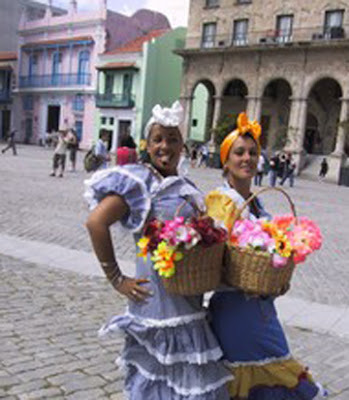 Cuba is country that has been influenced by many cultures. The most preeminent of these cultures are the Spanish and African. 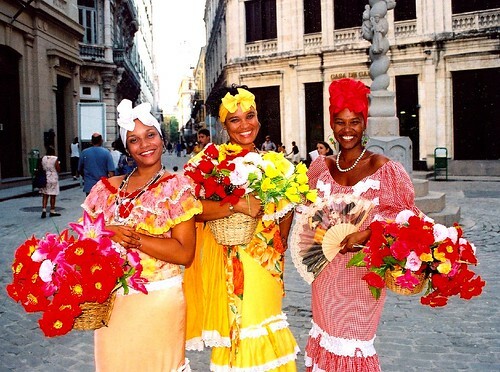 As a result Cuba’s own culture is a unique fusion of the various nations that have had an influence on the lives of the people of the island. It is no secret that Cuba is a socialist state and does not incorporate a national religion into its existence. Therefore religion is not something that has to do with the way people dress. 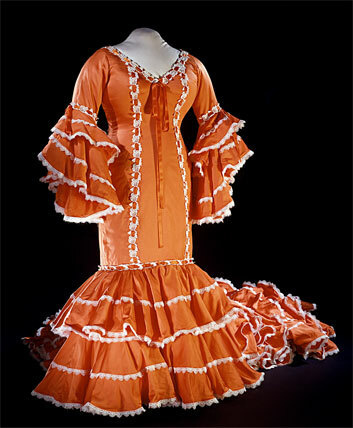 However it is quite possible that the nations that had an influence on the traditional clothes of the Cubans may have had religious aspirations but Cuba it self is void of any such adherence. 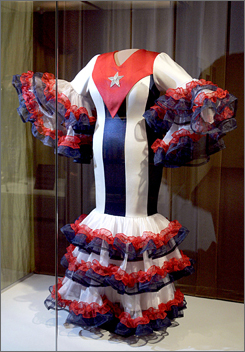 None the less Cuba is credited with possessing one of the ‘coolest’ dress senses in the world. Although you will see that the Cubans are largely influenced by the dress sense of the west there is the Guayabera which is Cuba’s own pride and joy when it comes to traditional clothing. Also known as the Havana shirt and the Cigar shirt you will find this Cuban fashion to have taken on the world fashion scene. The shirt generally gives a cool casual, stylish and happy look. Sporting an odd mix of two to four pockets the Guayabera is not a shirt that you tuck into your pants. This hip shirt is further enhanced by the diverse nature of embroidery work that you will find on it. The embroidery work varies from real simple pleats to some very intricate designs that can get heads turning. There is also a traditional Guayabera dress that was developed along with the shirt. The male shirt has however had more world wide success than the female guayabera dress. This is because the shirt has been accepted as it is in conservative countries and cultures whereas the female dress has been rejected as it is not considered appropriate for decent women to dress in such a way in many cultures. You will find that there exists a great deal of controversy regarding the origins of the guayabera shirt. Some say it belongs to Mexican tradition whereas others vouch Thailand as the place of birth for this shirt. The story has taken the form of a fable in Cuba where it is undoubtedly accepted that the shirt belongs to Cuba. The story of the shirt is that it was made especially for one wealthy Cuban rancher back in the 1700’s who got it imported from Spain. Spain being the common link between the cultures of the three nations it is quite likely that the actual origins of this shirt are Spanish. None the less the shirt continues to grow in popularity all around the world and is accepted as part of the Cuban heritage more than any other. The great thing about the Guayabera is the fact that it is an unbeatable fashion which is extremely practical for the summers. It is usually stitched out of cotton or other light materials that remain cool in the summers.